Hello , fellow members ! After some time , it's time for some new updates. We have noticed that some members doesn't know the mean of " being patient ", this update should solve the issue , thanks to some members who asked for it. - Maximum of ONE request per day. - Requests should be done ONLY in the Forum Requests. - Precise for which games you want the request to be done. - Mention if you have any special ideas or suggestions. - Making multiple threads about different cars for the same game. No need to make a bunch of requests when one suffice. - DO NOT make a request in another section other than the forums section. Request will be automatically deleted and the member who did it may see his account suspended for a short/long amount of time. - Spamming of a request (obviously you'll get a permanent ban). - Harassing the modder who accepted the request. - Useless requests (asking for a car when the mod is already out for the games asked). Please note that you don't need to ask why a request is deleted or moved , you'll either see why it has been moved by searching for it in the forums , and if it's deleted you'll get a MP about it. If you got banned because you didn't followed the rules , there's also no need to hate. You disobey , you get what you deserve. In that case it turns into a perma-ban. We hope this update will make the navigation easier to those who have some requests to done , and also to the ones who are willing to do them. As you may have noticed, the Forum Requests is starting to be more used, and we have made a system to help the members to find which requests are open or not. Approved requests will now be displayed like this " ✔ - Locked " , which means that request is complete, and therefore the topic is closed. Non-approved requests will be displayed like this " X " , which means that the request hasn't been accepted. After a certain period of time, the topic will be locked. If the author wants to open the desired topic, he must ask to a Staff member to know if it's gonna be useful or not. Have a great day on our website ! So I decided to write myself a game review on Need for Speed Payback. It has been out for while and were able to gather my thoughts on the game. It is a lengthy read but I would like it to be a discussion. You can find the thread of the review/discussion HERE . Feel free to share your thoughts and opinions in the thread and check out other threads too. So as teased at the beginning of May, we did get something on the 2nd of June. Something BIG! We got the reveal trailer for the new NFS guys! Most of you have probably have already watched it. But here it is. Click the link below above the image to check it out and share your thoughts in the comments below and in our forums! This is an NFS site as the name of it quite tells us. But I think we can all agree that we`re here because of our love for cars and the games around it. Let that be NFS, DriveClub or Gran Turismo. We just generally love car games. And so did we also love The Crew when it was first announced. With its MASSIVE open world free roam map and range of cars and the crazy customisation that we were able to do. Drive them offroad or use them on the circuit. You are able to do whatever you fancy in the game. And over the 2 years it has been running it has seen a major overhaul, great expansions, and overall a developer team, Ivory Tower that listened to the community. Not long ago they announced in their monthly update that they will not be doing an update to the game for a couple of months as they are working on something else. Now one would presume another expansion ("cough Mexico cough") or something around those lines. But a few hours ago they dropped a HUGE announcement on their forums. Its only a picture with a title of "The best is yet to come!". But it sure says a lot. Crew 2 is coming guys! Not so sure what to expect in the game apart from what was already in The Crew. A huge massive open world with all the car calsses which are in the game already. There is literally no news yet. We have to wait but sure sounds exciting. What an amazing year this 2017 is turning out to be for us car guys. Last year was a bit dry but I think the hype about NFS 2017, the new Gran Turismo, DiRT4 and other titles and now The Crew 2 is added to the list a bit unexpected sure makes this year look exciting. I myself cant wait. Please share your thoughts in the comments. You can check the offical forum post and thread HERE Ivory Tower. So on the 9th of May, an article was dropped on needforspeed.com which gave us the first small few details regarding the upcoming title this year. They have released a teaser photo which is set in either a sunset or sunrise. Either way I think we can jump to the conclusion they will include a day and night cycle. Which in my opinion is really good as NFS 15 got quite stale as it was only night time. Yes they were aiming for more of an UG-ish vibe which, don’t get me wrong was good but as I said earlier, it got stale. Also since in the teaser picture there is no rain (YES). Sure looks good, but again; just got annoying after a while. We also see a nicely customised Nissan 350Z with a nice bodykit and big spoiler. Yes. Our requests were answered by Ghost and they added it in this new title. Because we all know how much this car was asked for to be added into the last NFS game which for some weird reason didn’t but now it’s here. This Nissan 350Z hopefully means we will get a bigger carlist with the same amount if not more customisation than in the previous game as even though they said customisation will make up for the smaller carlist. On some cars, it just didn’t. And they do commit to customisation as they said: “Rest assured that we’re committed to customization having a home within the Need for Speed series.” This is great news if you ask me. Now let’s see pursuits. In NFS`15 there wasn’t much depth to it. Crown Vics were chasing that got more aggressive but no heat system or anything. But they dropped amazing BIG news about pursuits. RHINOS ARE BACK! Yes. Rhinos are back! All the raging moments to the very last millisecond dodge to avoid them; all that excitement is back from Most Wanted and Carbon. This also should suggest a heat system like in MW and Carbon as it would be quite unfair to get Rhinos almost as soon as you start a pursuit. And it will surely be interesting to see how Ghost implement this. Another great news. So far only good news which just gets me more and more hyped about NFS 2017. So the other great news is that they confirmed that their new title this year will be OFFLINE. They said: “You will be able to play through a single player experience completely offline” They also mention that you can pause the game hence it will be offline. In conclusion they have only been listening to us and giving us what we were asking for. Also should mention the 2nd of June which is under the big MOTEL VACANCY sign. This could mean many things. Most likely it is a teaser trailer of some sort or a bigger reveal but it is mentioned that they will drop details going through this summer until EA PLAY which is in June. Need For Speed World: IT'S COMING BACK!! IT'S COMING BACK!!! Yup, you read that right! Need For Speed World with its full online experience might be on its way back to computers thanks to a multicultural mix of guys testing their servers out to work with the game. Its called SoapBox Race World (for copyright reasons or denial of aid from EA or something like that). If you think this is hoax and fake new. Let me assure you. This is a legit NFS World with online capabilities as we've seen before (group chat, lobby chat, multiplayer public races, private races, etc.). There are several things they need to stabilise like more and stronger servers, BUT, nevertheless, there is hope. So the first ever car mod for NFS Undercover was released not so long ago by Robin7t4 & nfsu360 which is apparently a Citroen GT Concept. The mod tools of the game were not released as of yet and we are still waiting for that. 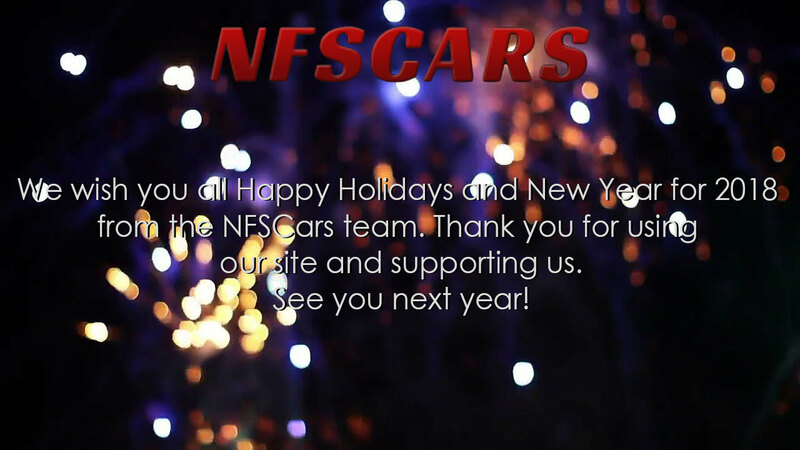 Lets just appreciate that we have dedicated talented individuals working for the good of the NFS modding community. Also maybe this not so popular game might receive some modding love by the modding community in terms of car mods as it is now clearly possible to mod the game. We just have to see how it all goes but its really good news. Below the image is the link for the Citroen GT Concept blog post with the download link and the instructions on how to install the mod.